Fifty years since they moved under their own power for the first time, two machines developed in the same era of ambitious, ground-breaking engineering have met as they celebrate a special anniversary. On 9 April, 1969 – precisely 50 years ago – the first British made Concorde began its maiden flight from Filton Airfield, Bristol, England. The airframe was a prototype that would go on to complete 438 flights, created to test an aircraft that would set new speed records at the time, peaking at 2,179km/h, and for which new materials and technologies had to be invented in order to make the ambitions of an Anglo-French group of engineers a reality. In the same month, the very first Porsche 917 – chassis 001 – began its development, as it evolved into the most iconic and successful endurance racing machine of its time. Created by a small team of bold, inventive engineers, the 917 took an enormous leap in its highly innovative aerodynamics, its compact yet enormously powerful 12-cylinder powertrain and adoption of materials previously exclusively the realm of aircraft to set a new benchmark. The first stop for the Porsche 917 was the Royal Navy Fleet Air Arm Museum at Yeovilton on the south coast of England, where the Concorde that made that first flight is now on display among an array of historic aircraft. In marking the special anniversary, two people whose job it was to be at the controls met for the first time – guiding each other around their respective machines. 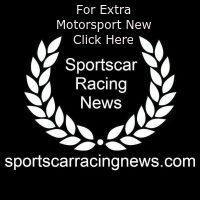 Richard Attwood won Le Mans at the wheel of a Porsche 917 in 1970 and knows the car better than almost any other driver. His contemporary, piloting the fastest passenger aircraft ever created, was Captain Tim Orchard who is joint World Record holder for the shortest time for the flight between New York and London – a distance covered in just two hours and 52 minutes. 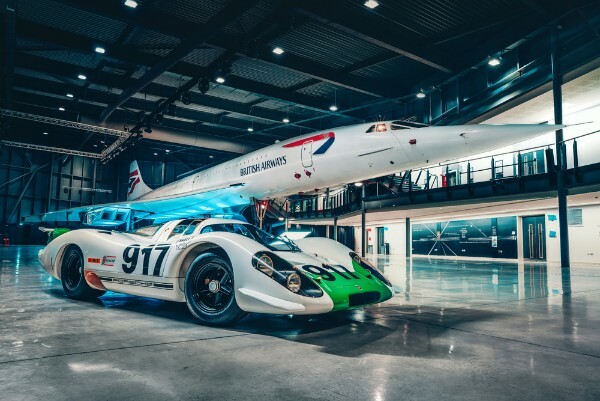 Fittingly, the first Porsche 917 completed its tour of the UK as it was pictured next to the very last Concorde to be built and the last example to be flown. Concorde ‘Alpha-Foxtrot’ landed for the final time after 6,045 flights at its new home, Aerospace Bristol at Filton, where the British-built Concordes began their journey 50 years ago, marking the end of an era. The Porsche 917, which was driven for the first time in public weekend after a thorough and detailed restoration at the Goodwood Members’ Meeting, leaves the UK to join the Porsche Museum collection in Stuttgart. From 14 May to 15 September 2019, the Porsche Museum will honour the 50th anniversary of the 917 with an extensive special exhibition entitled “Colours of Speed – 50 Years of the 917”. A total of 14 exhibits – including ten 917 models which alone have a combined PS output of 7,795 – will be on display. The Porsche Museum will present a 917 concept study to the public for the first time as homage to the first Le Mans victory of 1970. The red-and-white show car was designed by a small team of designers and engineers, though with the entry of Porsche into the LMP1 category of the FIA World Endurance Championship (WEC), this model remained as purely a concept study.